Jennifer is the proud co-owner of Abilitations Children's Therapy & Wellness Center. She completed her Masters of Science in Physical Therapy at New York Institute of Technology in 2000. Since graduating Jennifer has focused her attention in the area of pediatrics. She has worked in both educational and clinic-based settings with children ranging from birth to age 21. 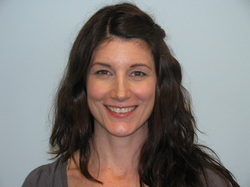 Jennifer specializies and enjoys working with children with complex medical issues. Jennifer has extensive experience with, but not limited to, cerebral palsy, spina bifida, down syndrome, osteogenesis imperfecta, Rett Syndrome, torticollis and other genetic and metabolic disorders. Jennifer is constantly advancing her knowledge base in the area of pediatric diagnoses and treatments by attending continuing education courses and participiating in panel discussions. Some of her education courses include pediatric orthotic fabrication, neurodevelopmental treatment and advanced handling, spasticity management, care & treatment for cardiopulmonary compromised pediatric populations and adaptive equipment assessment and need. Jennifer truly believes in each's child's potential no matter the limitations. She works closely with each child and motivates them to work hard while having fun. She believes in inclusion in all areas of the community. She has worked hard to develop programs that promote awareness and acceptance of children with special needs. A passion for Jennifer is to offer wellness/fitness programs for children/adolescents with and without disabilities, leading to the development of the wellness component of Abilitations. She also started the Abilities Indoor Soccer League for children with special needs. In her spare time, Jennifer enjoys crossfit, yoga, hiking and spending time with her friends, family, and pets!